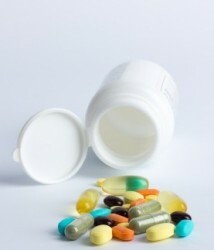 A common cause of vitamin B12 deficiency is long-term use of certain medications. Even if you don’t suffer from an autoimmune condition or have a family medical history for pernicious anemia, your risk for developing severe vitamin B12 deficiency are increased if you take any of the following medications regularly. Listed are drugs prescribed often for conditions such as diabetes, depression, GERD, or frequent infections that can, over time, impair your ability to absorb vitamin B12 properly from the foods you eat. If you take vitamin B complex and eat a diet rich in vitamin B12, such as beef, fish, and chicken, then you’re on the right track to good health. Still, there are many risk factors that can lead to vitamin B12 malabsorption, regardless of how well you take care of your body. Vitamin B12 malabsorption is the inability to latch onto vitamin B12 molecules that enter your body and use them efficiently. Instead of being dispersed through your blood stream, essential vitamin B12 passes through your digestive system whole, unaffected. None of the important nutrients needed for good neurological health, energy, or red blood cell development reach their destination. As a result, over time, you experience symptoms of severe anemia caused by low levels of serum vitamin B12. Vitamin B12 deficiency most often occurs with pernicious anemia, an autoimmune condition that attacks intrinsic factor, a digestive enzyme needed for vitamin B12 absorption. 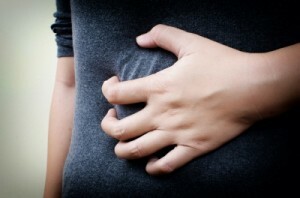 Pernicious anemia can also result from damage to the parietal cells of the stomach. Patients of gastrointestinal surgeries for weight loss or Crohn’s disease are at risk and must supplement with non-dietary vitamin B12. If you follow a strict vegan diet, then you may be at risk for dietary vitamin B12 deficiency, as there are no rich natural sources of plant-based vitamin B12. Please note: Don’t stop using any prescription medication without permission from your doctor. If you use any of the medications listed, then you should check your vitamin B12 levels regularly in order to prevent developing severe vitamin B12 deficiency. Are you currently taking any medications that you feel have directly led to vitamin B12 deficiency? Please comment below.